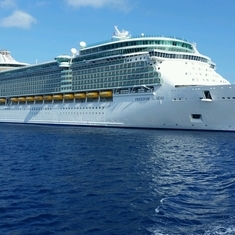 Royal Caribbean is a great choice for families — second only to Disney Cruise Line and significantly less expensive. It’s also ideal for sporty travelers: The line’s adrenaline rush-driven activities — the best at sea — include rock-climbing, surf simulations, ice skating, ziplining, inline skating, and boxing (in a real ring). Royal Caribbean's entertainment choices feature high-dive shows on Oasis of the Seas and Allure of the Seas, as well as parades with stilt walkers and “Madagascar,” “Shrek,” and “Kung Fu Panda” characters, the result of a partnership with DreamWorks Animation. Active families, plus sporty couples and singles who want a never-a-dull-moment experience. These cruise ships aren't for anyone who doesn’t love people, or action. Sports activities on Royal Caribbean are the best at sea, including rock-climbing, surfing simulations, ice skating, zip lining, inline skating, boxing (in a real ring! ), and billiards — and most of them are complimentary. Impressive, high-octane entertainment choices include high-dive and synchronized swimming shows on Oasis and Allure, and parades with stilt walkers and costumed characters. Classic Broadway productions (“Chicago,” “Saturday Night Fever,” and “Hairspray”) … need we say more? 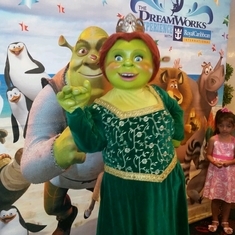 Royal Caribbean's partnership with DreamWorks Animation brings characters from “Madagascar,” “Shrek,” and “Kung Fu Panda” aboard for character breakfasts and photo ops. Kids are catered to with water parks that have cannons and sprayers (on Freedom and Oasis classes). The 1950s-style Johnny Rockets diners (with singing and dancing waiters) are a great alternative to the sprawling buffet restaurant. The innovative Oasis-class design features themed neighborhoods, including a “boardwalk” district that has a carousel with hand-carved wooden horses. The two-story, glass-walled Loft Suites have a living room below and a loft bedroom above. Royal Caribbean's small standard cabins have truly compact showers. Huge passenger capacities mean competition getting on and off the ship, as well as for deck chairs. The push to sell … just about anything, from DVDs of the cruise to the ubiquitous photographers snapping pictures they sell later, can get quite annoying. There are currently 554 discussions about Royal Caribbean. 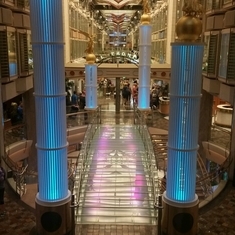 If you choose to follow Royal Caribbean you will receive weekly email updates with the latest reviews, tips, and photos from Cruiseline.com members about Royal Caribbean.